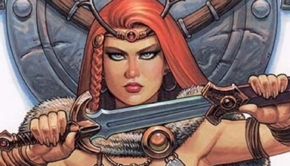 Dynamite Entertainment is proud to share the great news that, thanks to the overwhelming support of fans and backers alike, the current Amanda Conner Red Sonja Statue Kickstarter surpassed its original $7,500 goal in under 24-hours, and met the first stretch goal in less than 48! 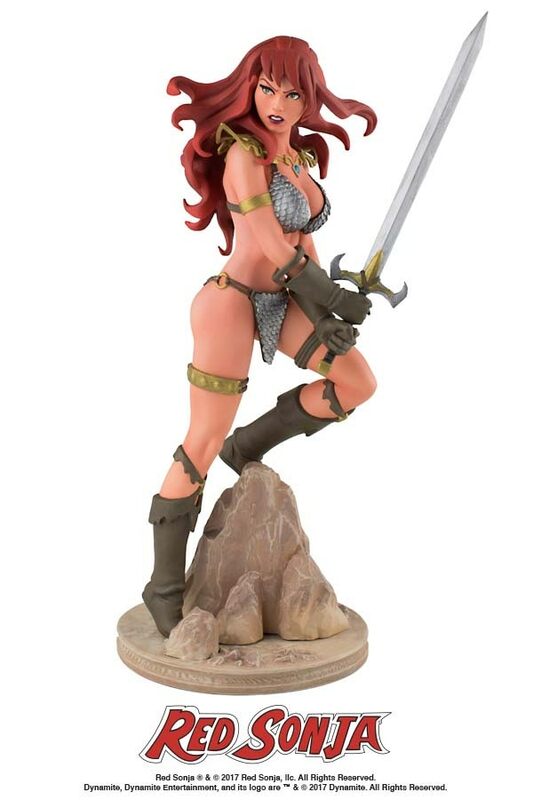 Now, Red Sonja and collectible fans alike will have the ability to receive the dazzling “Bronze Finish” variant of these meticulously sculpted statues! The limited-edition, hand-painted resin statue line brings Amanda Conner’s vision of the “She-Devil with a Sword” to life in three dimensions! Based on Conner’s cover artwork to Red Sonja: The Black Tower #1, the statue line is sculpted by Jason Smith, measures approximately 7.5″ high, and stands on a 3″ wide base. Options available include the “Full-Color,” the noir “Black and White” edition, and the recently unlocked “Bronze Finish” edition. Production on these new offerings are currently under development, with an expected shipping date of mid-December 2017. Backers who support the Dynamite Amanda Conner Red Sonja Statue Kickstarter will have the opportunity to receive rewards, including digital and print graphic novels and beautiful Red Sonja statues! With tiers designed to fit any collector’s budget, backers will have the potential to enjoy a number of these great rewards!